Cleaning result, durability and technology convince in each regard. That is why our central vacuum cleaners BVC SILVERLINE established themselves quickly as an inherent part of the modern home technology. 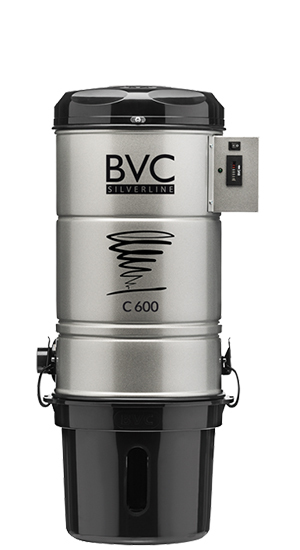 The central vacuum cleaners BVC SILVERLINE are considered to be classics. Cleaning result, durability and technology convince in each regard. That is why our central vacuum cleaners established themselves quickly as an inherent part of the modern home technology. The soft start of the motor causes the motor to be supplied with power slowly and gradually to its full amperage. Less wear and less vibration when starting the engine can extend the life of the motor. 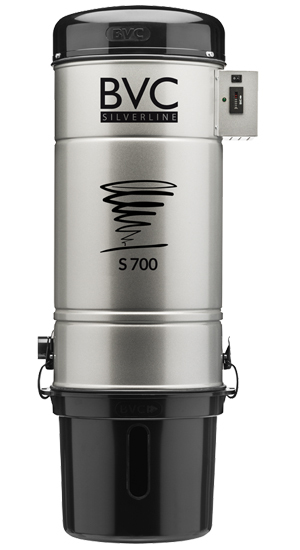 The TRIAC control makes it possible to steplessly regulate the engine power of the BVC central vacuum. This can be done via the potentiometer or three-stage switch on the handle. For digital devices, the motor power / suction power can also be regulated on the electronics box. All BVC central vacuum cleaners are in stock at BVC. You can order the devices from your BVC representative in your country by specifying the article number. Are you a new customer? We are happy to call you a BVC dealer in your area. Please contact us by e-mail or via the contact form. You will find our BVC product catalog as well as an article list in our download area.